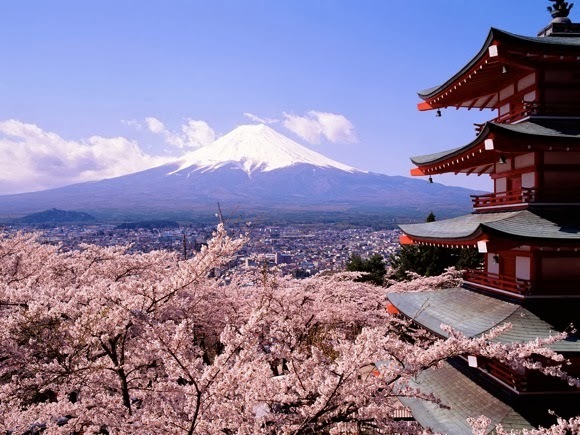 In 2005, my desire to study in Japan started when a former colleague introduced me to an opportunity being offered by the Japanese government. It was only in 2010, however, when I became qualified. I immediately grabbed the opportunity. I underwent the document screening, medical examination, written examination, and the interview. Fortunately, I was one of those who qualified for the Japanese Government (Monbukagakusho) Scholarship Program under Teacher Trainee Category. In October 2010 to March 2011, I took an Intensive Japanese Language Course in Kobe University. Japanese language proved to be indeed challenging efor me who did not have any background about the language. My class would normally start at 9:00 in the morning, and end at 3:00 in the afternoon during the weekdays. Japanese Language has three forms of alphabet: Hiragana, katakana, and Kanji. As a beginner, I studied mostly Hiragana and Katakana, but also learned the most commonly-used kanji. Reading and writing class took place in the morning, while the speaking and listening segments happened be in the afternoon, usually in the form of individual or group presentation. As my final output, I presented our country’s history and educational system in Japanese Language. During weekends and holidays, I taught in an English Tutorial School teaching mostly Japanese students. It was exciting to teach English toJapanese students especially in an elementary level knowing that English is not even their secondary language. Japanese students, I discovered, however, are very eager to learn English. I also attended different Japanese festivals and ceremonies like the tea ceremony, flower festival, pottery making, and others. After completing the six months of intensive Japanese language training, I moved to Hyogo University Teacher Education in April 2011. There, I studied Educational Management. I was given the chance to observe different schools in such as Kinsay Elementary School, Nishiwaki Elementary School, Aogaki Junior High School, Yashiro Junior High School, and Yashiro Senior High School. I found out that all the schools were provided with teaching devices like projectors and computers. Science laboratories and music rooms are also well-equipped. Teachers there have little difficulty to discuss their lessons because of the help of these tools. It is generally easier for them to give the classroom instructions, which are also understood more easily by students. I also observed that generally the government gives much support to public schools. Considering that every prefecture has the responsibility and accountability of managing the schools within their jurisdictions, the image of every school in their locality somehow reflects the kind of management that the head of each prefecture has. In particular, the Board of Education in a prefecture has the main task to manage all the schools within its area and thereby coordinate with every school principal for the betterment of the school. In all of the schools I visited, I could say that all the principals were really doing well in terms of how they managed their schools. In Kinsay Elementary School, for example, the involvement of parents association is really apparent. On that day where I visited the school, some parents were doing gardening duties and cleaning some areas of the school. In Nishiwaki Elementary School, I was invited to be a part of after-school activities of the students, which I really enjoyed. We had games and conversations with the parents, students, teachers of that school. In Yashiro Junior High School, everyday they had a short meeting, which the principal attends. During the meeting, they discuss the important things that happened that day about the students` and teachers activities, and the other concern of the school. I believe that among the prefectures, the In Hyogo Prefecture has the best Board of Education because they truly cooperate with the different schools in their area. As a matter of fact, most of the international students like me were invited to do some presentations about topics related to our respective countries, school system, culture and other things. It was an excellent avenue to exhaust all possible learning resources for the students especially since learning now tends to be interactive and globalized. I took that program for almost a year and eventually earned my certificate for completing the course. It was indeed an amazing experience which I would treasure forever. I envy how Japan has successfully managed to keep its indigenous culture while still staying on the forefront in development, cutting-edge technology and modernization. I like the dedication and the insistence on perfection of Japanese people in whatever they do.